The last stop on our tour of southern Tuscany was a visit to an Etruscan Necropolis, a city of the dead. 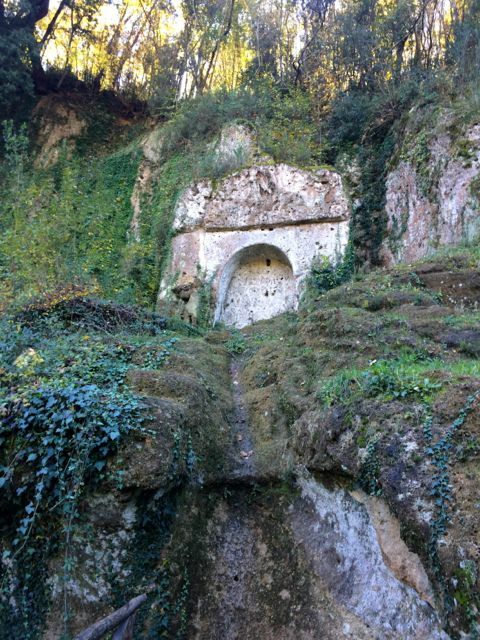 The necropolis is so named because there are several Etruscan tombs carved directly into the rocks here. At first we drove into the small town of Sovana because the signs seemed to indicate that this was where the Parco Archeologico was. After a quick stroll through this picturesque village / town it soon became apparent that we weren’t going to find any tombs here. Sovana is actually part of the Parco Archeologico and this is what led to the confusion. A couple of kilometres along the road we found the car park for the necropolis. There seemed to be trails leading in both directions from the car park. We chose one, crossed a footbridge and soon we were in woodland where we came across several tombs. I’m sure if you head the other way that you will find even more tombs. We had the place to ourselves in November but I would imagine that there are quite a few visitors here in the summer months. 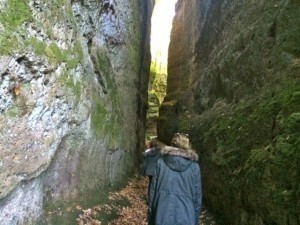 The Etruscans also built several sunken roads in the area around Pitigliano. 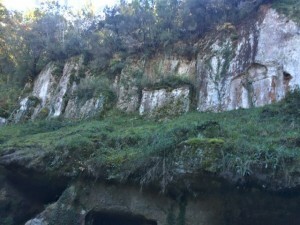 The “vie cave”, as they are called in Italian, are roads that were excavated directly into the rock face, sometimes to a great depth. No one knows what their purpose was but competing theories suggest that they might have served a religious purpose, that they were drainage channels or that they were simply transportation routes. Whatever the reason for their construction, it is quite eerie to walk along them with towering rock faces on either side of you. This was the end of our Day Out In Southern Tuscany, feeling tired we got in the car and headed back to the Tuscany Umbria border.